Creative thinking and problem-solving are essential parts of the design process to turn ideas into innovation and break the barriers against creativity. One of the successful methods used in creative thinking is the SCAMPER technique. While there are different creative thinking and problem-solving techniques such as reversed brainstorming, Hurson’s thinking model, the six hats of critical thinking and Lego Serious Play, SCAMPER is considered one of the easiest and most direct methods. The SCAMPER technique is based very simply on the idea that what is new is actually a modification of existing old things around us. 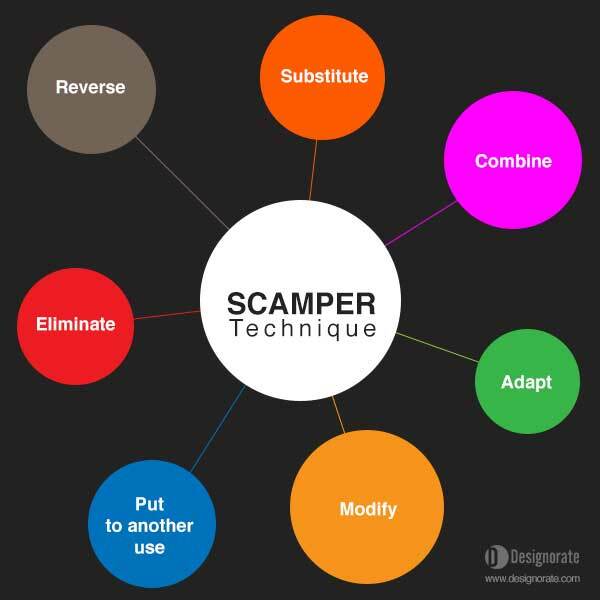 SCAMPER was first introduced by Bob Eberle to address targeted questions that help solve problems or ignite creativity during brainstorming meetings. The name SCAMPER is acronym for seven techniques; (S) substitute, (C) combine, (A) adapt, (M) modify, (P) put to another use, (E) eliminate and (R) reverse. These keywords represent the necessary questions addressed during the creative thinking meeting. How do SCAMPER technique work? 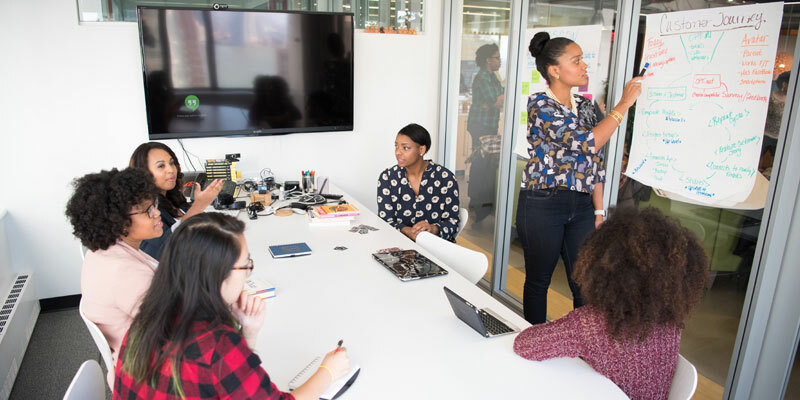 During the need for critical thinking either alone or inside a group, forcing the mind to think in a specific flow can help emerging innovative ideas that won’t be possible to reach using a regular thinking flow. The SCAMPER technique aims to provide seven different thinking approaches to find innovative ideas and solutions. What part of the process can be substituted without affecting the whole project? Who or what can be substituted without affecting the process? What part in the process can be replaced with better alternatives? Can the project time or place be replaced? What will happen when we replace part of the project with another? Where else could you sell the product? Could we use another alternative of X? Can we substitute the current device with another better one? Can we replace the process with simpler one? The substitute technique tends to provide alternative solutions for decision makers to evaluate different solutions in order to reach the final action. Can we merge two steps of the process? Can we apply two processes at the same time? Can our company combine resources with another partner in the market? Can we mix two or more components together? Can we combine X and Y technologies? What would we need to change to reach better results? What else could be done in this specific task? How can we improve the existing process? How can we adjust the existing product? How can we make the process more flexible? How will modifying the process improve results? What if we had a double consumer base? If the market was different, what would the process look like? Can we change the process to work more efficiently? What if the product is double the current size? What other parts in the company can use the product? What are the benefits for the product if used elsewhere? 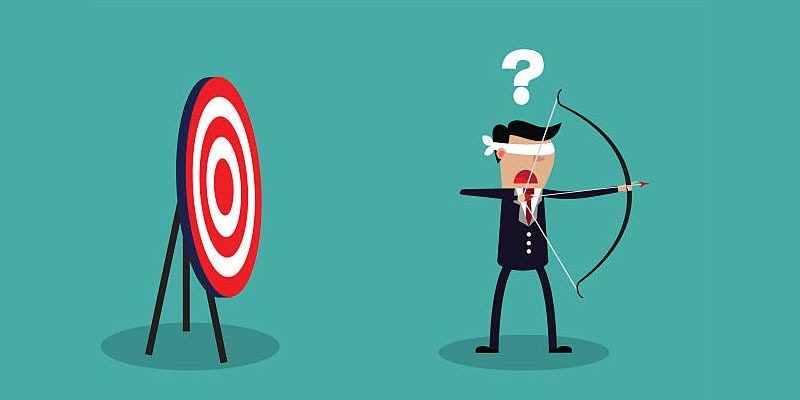 What if we target another market segmentation for the current product? Can we add a specific step into the process to replace another? What are other ways can we use it? Can we recycle the waste for another use? What would happened if we removed this part? How can we achieve the same output without specific part of the project? Do we need this specific part? What would we do if we had to work with half the resources? 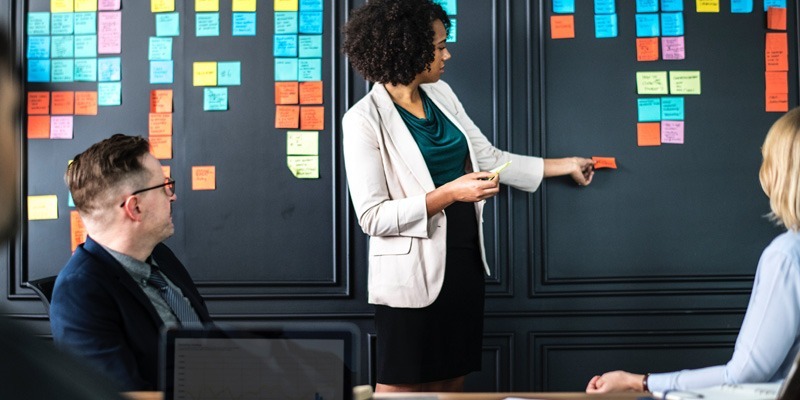 In some situations, the unnecessary resources or steps in the process provide extra load for the project to achieve innovation and creativity. Eliminating these resources extends the ability to innovate and allocate more resources for creativity within the organizations. What would happened if we reverse the process? How can we rearrange the current status for better output? What if we consider it backwards? The SCAMPER technique is one of the easiest and direct methods for creative thinking and problem-solving through a number of techniques or question types; (S) substitute, (C) combine, (A) adapt, (M) modify, (P) put to another use, (E) eliminate and (R) reverse. These types can be used to explore problems from seven perspectives. This holistic technique of study helps reaching the best decision which fuels innovation and creativity.